Branding today is so much more than just a logo, a color scheme, or an advertising campaign. The concept has evolved and expanded like crazy over the past few decades and branding is now built on every single interaction between a customer and a business, both in-person and online. This puts businesses that are trying to push for more tech-driven actions in a unique position because it opens up far more opportunities to create a perception with audiences, whether positive or negative. Artificial intelligence is also changing what it means to be a brand because it brings a whole new definition to human connection. According to Salesforce’s State of Marketing Report, disclosed by Forbes, 53% of marketers plan to adopt Artificial Intelligence in the coming years which, in turn, will continue to diminish the amount of person-to-person interactions between a customer and a business. This means that the process of creating relationships with an audience will soon be the responsibility of a computer, rather than a sales or marketing team. So how can brands still remain truly, authentically human while utilizing essential AI technology? Let’s discuss. No matter how many AI systems a company uses, it is still made up of the people within the business. And as long as there are people, there is going to be a culture within the company that is based on the personalities and practices in place. A business’s culture can also greatly affect its branding persona with customers. Why do people look up to brands like Zappos, Google, and Southwest? It’s not just because of their wonderful products and services; these three industry leaders are also known for their exceptionally progressive internal cultures. This positive brand image makes these companies more attractive to both customers and job-seekers who want to join their teams. Company culture plays a huge role in the success of a business; in fact, it’s the number one reason why employees leave a position. Many attribute this problem to a negative effect on their performance and overall experience. Each new member of the team will have an effect on the culture as a whole, especially if they are in a position of leadership. Therefore, in order to build a world-class team, recruiters and hiring managers must be sure that every new hire is a positive addition to the company’s culture. 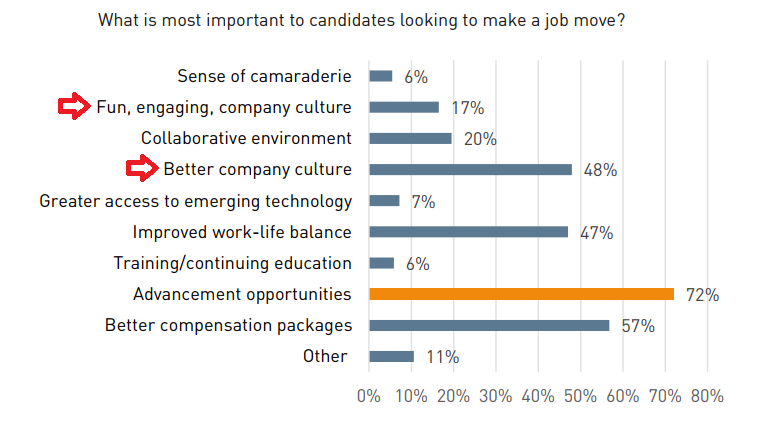 Additionally, a company with a good internal culture will actually attract better candidates, as 65% value this during their job searches. So where does AI fit in with culture and hiring? Well, Artificial Intelligence can help by building a better culture from the start. AI-driven recruiting systems like Harver (disclosure: the author of this post works for Harver) can automate the pre-hiring process by qualifying candidates based on their potential culture fit and credentials. 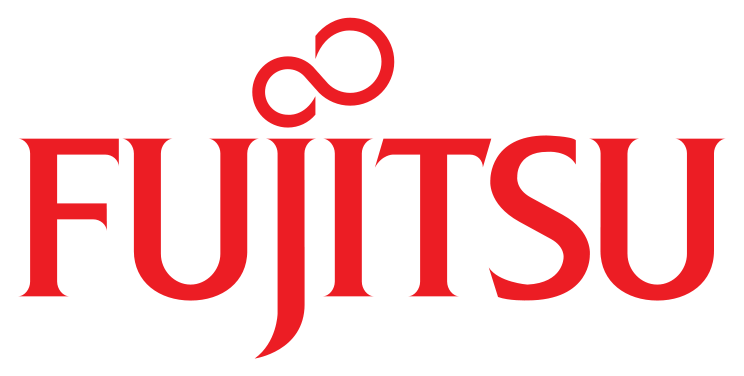 These types of AI-powered recruiting tools screen applications with specialized skill assessments to measure abilities, judgement and level of expertise. These tests can help identify personality traits and talents that will fit into the company culture, providing recruiters with the information they need for better hiring decisions. For instance, in a highly collaborative office, communication skills, leadership capabilities and the ability to work well with others would all be necessary to possess. If the business’ culture is highly innovative, then it is important that any new addition has the creative thinking skills to keep up and be a positive asset to the team. Traditional recruiting methods often fail to accurately assess these kinds of soft skills that are necessary for success. By incorporating AI-powered recruiting systems, hiring managers can rest assured that they have the data they need to understand where the candidate’s strengths and weaknesses lie. 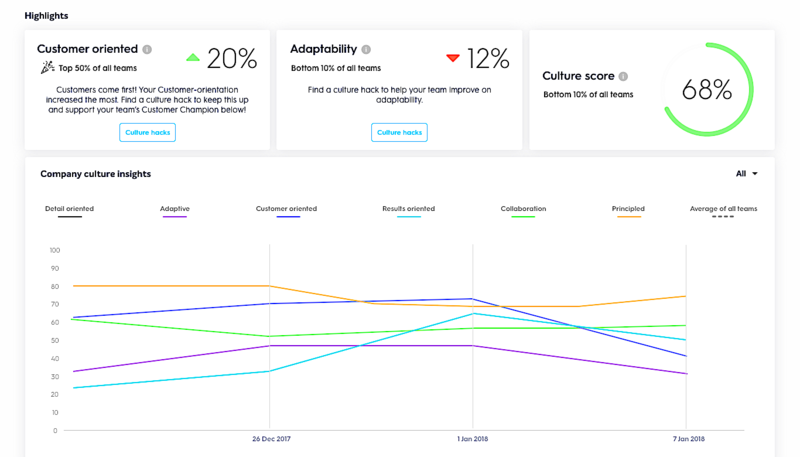 AI tools can also be used within the company to measure and define the culture that currently exists. These systems use big data and machine learning technology to analyze cultural signals, such as engagement, employee sentiment and productivity levels, which, in turn, interprets the numbers into an accurate cultural description. For example, some AI-powered systems collect data from communication tools, like Slack, along with surveys and questionnaires to accurately define employees’ current priorities. Managers and leaders can then create an ideal internal culture, and the system can help create a roadmap for strategies to guide the company in that direction, while machine learning technology tracks progression along the way. 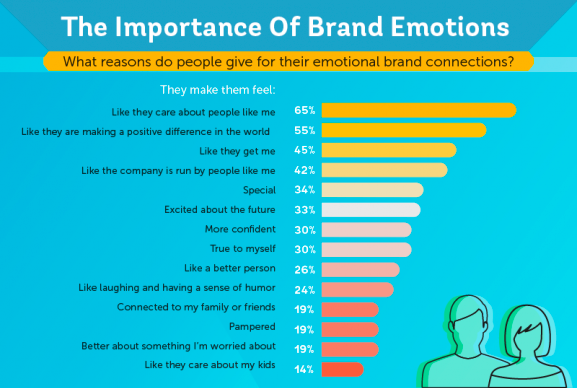 The key to building a successful brand that stands out from the competition is connecting with your audience on a personal level. Branding is about creating relationships by understanding who exactly the audience is, and what they want. 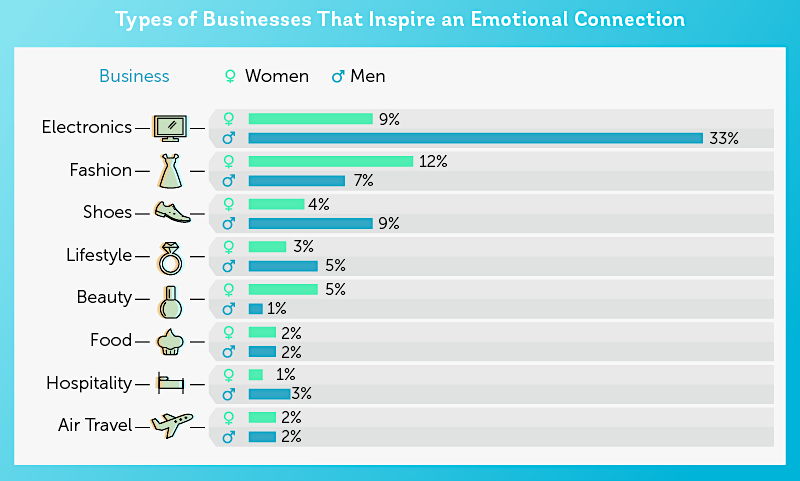 In order to build these powerful emotions between you and your customers, you must first know who you are trying to connect with. Many marketing teams turn to audience analytics to determine the demographics of their customers. However, these assessments are not always accurate, especially if your marketing team is measuring the wrong data points. Failing to identify an important demographic or niche of potential customers through ineffective audience analysis is a missed opportunity that many businesses cannot afford. AI technology can help marketers collect and analyze loads of consumer data, giving teams access to accurate information in order to drive their marketing strategies. By using machine-learning technology, these systems gather historical consumer information and translate it into comprehensive datasets for more accurate audience insights. Machine-learning systems are able to analyze thousands of data points for highly accurate, behavior-driven evaluations. For instance, information gathered from data-driven POS systems or webpage tracking gives marketing teams insight into the kinds of products that are frequently purchased or viewed by specific customers. 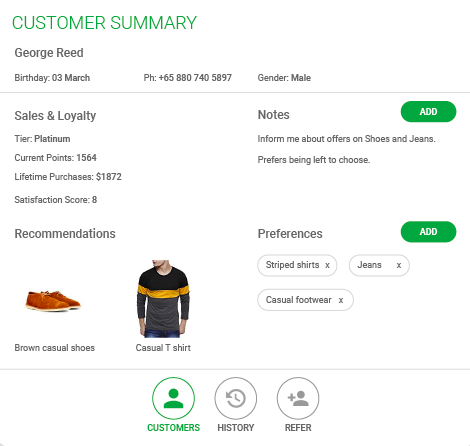 The data from these reports can then be used to create highly personalized customer interactions, including better recommendations and unique offers for a more engaging shopping experience. Personalization is extremely important to today’s consumer, and 59% of customers state that it has a major influence on their decision to purchase from a company. Data-driven systems can also provide marketing teams with the exact information they need for more precise targeting parameters based on demographic and geographic data. 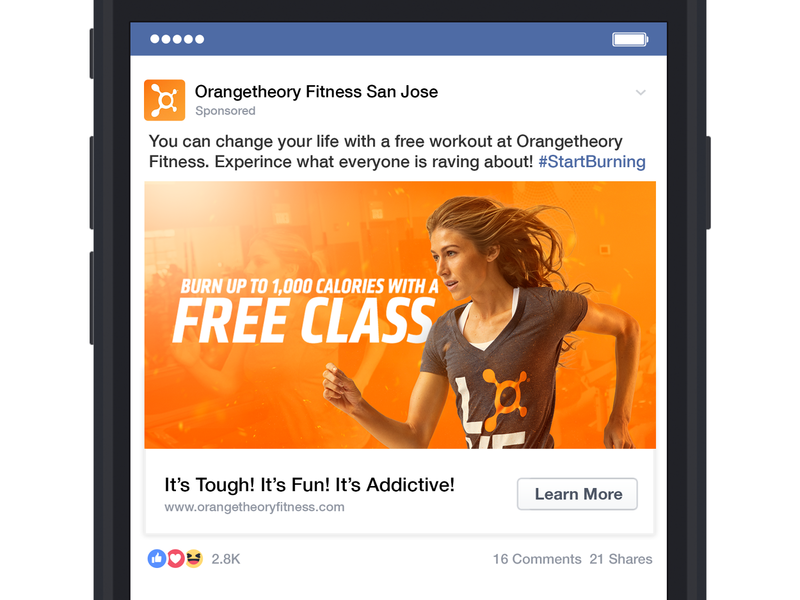 Orangetheory Fitness began to use AI-powered marketing for hyper-targeted advertising to offer a free workout to customers within a specific location of one of their studios. They also used machine-learning technology to determine the characteristics of their best converting clients (in this case, women who live 3-5 miles from a studio). Then they targeted consumers who fit into that category through social media advertising. As a result, their company has quadrupled in size in just three years and they are on track to hit $1 billion in revenue by the end of 2018. AI-based analytical systems track the responses from your audience to measure their sentiment and even predict future reactions. You can then drill down your audience’s most common points of sentiment, see how their needs change over time, and adjust your content marketing strategy accordingly. Businesses can improve their branding strategies by simply understanding their audience on a deeper level. Knowing who your ideal customer is, what they value, and what they want or need from your company is the kind of information that is needed to build a brand that cares about their audience. One of the greatest benefits that AI has to offer is the ability to automate much of the sales process. When customers contact a business online, they expect a near immediate response, a task that is simply not feasible for many companies. However, AI chatbots can be quite helpful when it comes to answering FAQs, offering sales suggestions, or directing a customer where to go next. Customer service is the most important element of a positive customer experience, and 45% of consumers agree that they would be willing to pay more for better service from a company. By implementing AI-powered chatbots into your business’s customer service toolset, common inquiries can be answered through automated live chat, rather than having customers call in and wait on hold for an available representative. Plus, thanks to the power of machine-learning technology, these chatbots can improve over time by gathering feedback from each customer interaction. AI chatbots also make a great addition to your sales team. By gathering consumer data, chatbots can suggest items that may interest customers based on their preferences and shopping history. 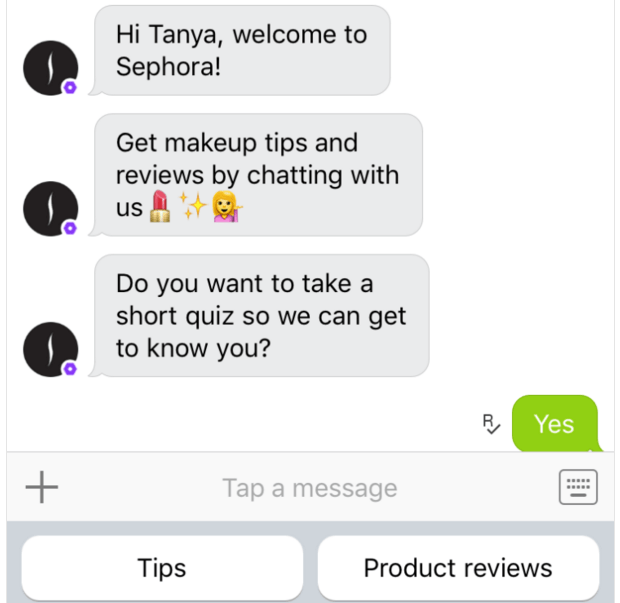 For example, Sephora launched a personal assistant chatbot that invites shoppers to take a quick quiz so that they can create personalized shopping suggestions for them. The chatbot also offers reviews and tips for each product that is searched for by the customer for a more interactive shopping experience. While AI technology is certainly on its way to developing human-like logic, it cannot experience emotions like empathy or excitement on its own (at least not yet), both of which are important for building relationships with customers. Therefore, the messaging and overall “personality” of the bot must be properly programmed with the company’s brand in mind. Just like a new customer service rep must be trained on the proper language to use with a customer, chatbots must be programmed with the right responses for various inquiries and issues. Quality assurance is also critical for chatbot success. 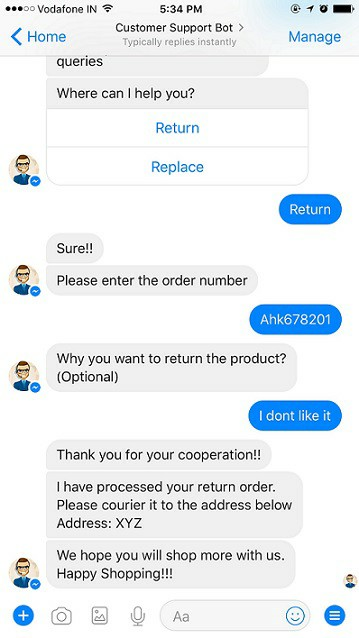 If a chatbot is unable to accurately answer customer questions and concerns, it will result in frustration and can hurt overall branding efforts. Chatbot analytical systems can be used to track these interactions and identify any issues or miscommunications that need to be addressed. The use of this technology can help improve a company’s image because it allows businesses to instantly engage with customers at any time. Positive customer service interactions are the key to building better brand association. 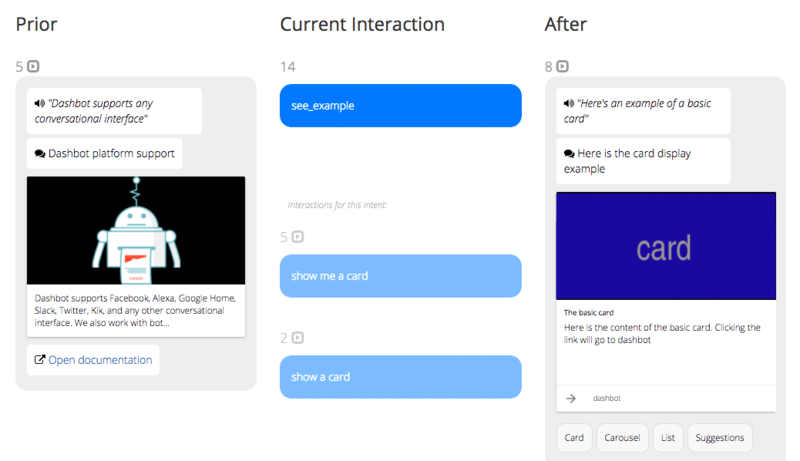 Whether it is a response to a Tweet, a comment, or a direct message conversation, AI-powered bots can offer advice or resolve issues, and even make sales, in turn showing customers that they are reliable and engaging. 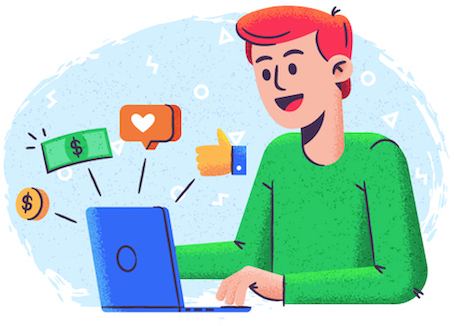 Consumers are more connected with brands than ever these days, thanks to social media and the increasing popularity of online shopping, so building a positive brand with customers is absolutely essential for company growth. 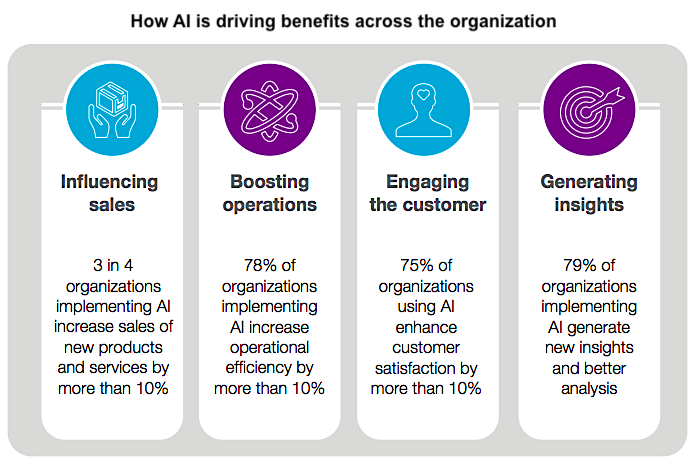 AI technology can provide businesses with the exact tools they need in order to take advantage of these opportunities and build stronger customer relationships with every interaction. By using AI to build a better internal culture, companies can expect better external results. These types of recruiting tools help to identify stronger culture fits and better talent that will build a stronger business from the start. Businesses can rest assured that they know exactly who their customers are thanks to deep, data-based technology that identifies ideal customers. And finally, they will also be able to connect instantly with customers by using chatbots to engage in helpful conversations. There is no denying that artificial intelligence will soon be involved in nearly every aspect of business – in some form or another. Thankfully, using this technology will only help brands maintain or grow a more positive image with their audience through more precise and personalized actions.